With the first quarter of 2019 over, it’s time to look back on the top performing pharma stocks on the TSX year-to-date. The Canadian pharmaceutical industry has been on a steady incline over the past several years thanks to new developments in medicine and exciting opportunities presenting themselves, according to a 2018 report from Research and Markets. Analysis from PwC Canada indicates that still present are the growing need for cheap medicine and demands from patients and healthcare professionals for better value for their money in terms of drugs. However, in late 2018, the CBC reported that Health Canada has begun the groundwork for cost-effective patented drugs in the country, although it’s anticipated that this won’t happen soon. According to the report, Canada is second in the world — only behind the US — when it comes to high drug costs. Still, it’s nonetheless promising that lower drug costs in Canada are potentially on the way. The end of the first quarter presents an opportunity for us to reflect back on the top performing pharmaceutical stocks year-to-date on the TSX. The list below was compiled using TradingView’s stock screener, with all numbers and figures current as of April 10, 2019. Companies on this list have market caps between C$10 million and C$500 million. Crestica Therapeutics is a company in the field of dermatology that is working on a range of non-prescription skincare treatments. In its pipeline are three products: Mical (1) for psoriasis, Mical (2) for dermatological skin treatments and flexicaine, a local anesthesia for cosmetic procedures. The company’s most pivotal announcement came in early February when it announced a collaboration with Tetra Natural Health, a subsidiary of Tetra Bio-Pharma (TSXV:TBP,OTCQB:TBPMF). The purpose of the partnership will be improving Tetra’s dermatology products with Crescita’s patented transdermal delivery technologies. Bellus Health is focused on developing treatments for chronic coughs and related hypersensitization disorders, which are conditions resulting from overreactions of the immune system. The company is advancing the development of its drug candidate BLU-5937, which is indicated to treat chronic coughing conditions. In February, Bellus Health reported its 2018 highlights and intentions for 2019. The company expects to begin a Phase 2 study for its lead drug candidate and plans to have topline results available sometime in mid-2020. Acerus Pharmaceuticals’ focus is on the fields of urology, hormone therapy and female sexual dysfunction. The company has several products in its pipeline: ESTRACE, which is for the relief of menopause symptoms; NATESTO, which is the only currently approved testosterone nasal gel in Canada and is available in the US as a replacement therapy in men with hypogonadism; GYNOFLOR, which is a low dose vaginal estrogen therapy; and TEFINA, a testosterone gel in development for women with female sexual dysfunction. In early March, Acerus Pharmaceuticals announced a new drug submission to Health Canada for Avanafil, which is a treatment for erectile dysfunction. While Cardiol Therapeutics is a biotechnology company, it has dipped its toes into the pharmaceutical cannabidiol (CBD) sector thanks to a partnership with Dalton Pharma Services. Through this collaboration, Cardiol is developing products to treat heart failure. At the end of March, Cardiol Therapeutics released its full year 2018 financial results, highlighting that it made strides with its CardiolRx pharmaceutical CBD program. Correvio Pharma is focused on providing products for acute care healthcare professionals and patients. In addition to a variety of products on the European market for healthcare concerns such as bacterial skin infections, pneumonia and heart conditions, Correvio is currently developing Treyvent, a medical device that administers treprostinil. In the company’s Q4 and full year 2018 results, released in March, Correvio said that it is on track to resubmit its new drug application for Brinavess to the US Food and Drug Administration sometime in Q2. 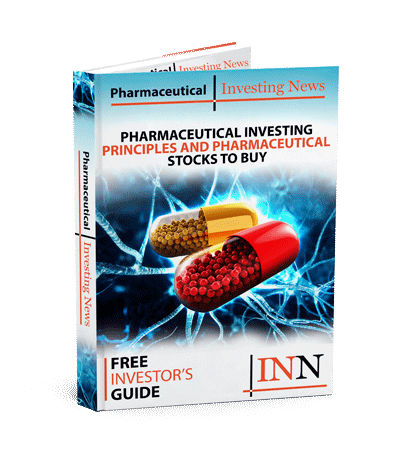 Editorial Disclosure: Cardiol Therapeutics is a client of the Investing News Network. This article is not paid-for content.